Does your business use telemarketing to reach it’s customers? 2/3 of U. S. citizens have registered their phone numbers on the Federal Trade Commission’s “Do Not Call” list. The numbers are similar for the Canadian Radio-television and Telecommunications Commission’s “Do Not Call” list. What about ads or flyers through the mail? 44% of people don’t bother opening direct mail anymore. It goes straight into the trash. Has your company invested money into a television ad campaign? 86% of TV viewers say they skip television ads, and those viewers who don’t skip them aren’t watching that closely, because 57% of them are also on the web while they are watching TV. Fascinating, right? If you haven’t already thought about integrating internet marketing into your business’ strategic marketing plan, these facts certainly make a strong case for it. Inbound marketing is more effective and costs less, but having a successful plan requires a well-planned, comprehensive approach. Email marketing is the oldest strategy, and is still the most effective channel of generating revenue. 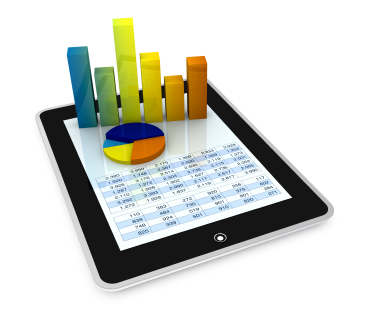 To make the most of your marketing dollars, it is important to remember a few key points. Email should be personalized as much as possible, and that includes the sender’s name. The email shouldn’t come from a department, business, or service. It should come from a person. People want to feel they are special. Simply using the word “exclusive” in a promotional campaign has been shown to increase unique open rates by 14%. Send email early in the day to improve your click through rate. People are more likely to take the time to read your message early in the day before they have been bombarded by messages on every front. Make your message mobile-friendly. At the end of 2011, 27% of emails where opened on a mobile device. That’s up 7% from earlier in the year, and the trend doesn’t show any signs of slowing. The use of social media in the US is up 365% since 2006, and is growing in all age groups. Social media has been shown to influence purchases through services like Facebook, LinkedIn, Twitter, and Pinterest. People are most likely to make buying decisions based on a recommendation from their friends, others like them, experts, and brands that they follow. Pinterest is the latest entry into the social media market, and is unique in several important ways. 65% of Pinterest’s global web traffic is from the U.S. It brings in more referral traffic than YouTube, LinkedIn and Google Plus combined. And perhaps, most notably, most of its users are women. Incorporating social media sites, like Pinterest, could have a huge impact on brand awareness and sales for your business. If your business isn’t blogging, you’re losing customers. Companies that blog generate 88% more leads than those who don’t. But blogging means a lot more than creating a section of your website and posting some casually written content. Most people who read blogs have 5-10 blogs they choose to read on a regular basis. What is going to put your blog in that select group? Of course, well-written, interesting content is key to a good blog, but consider this tidbit: most people who read blogs, read them more than once a day. If your blog isn’t being updated frequently with compelling writing, whey would anyone make a habit of visiting? 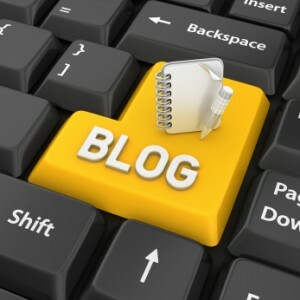 Your blog should be updated at least twenty times a month. Businesses that blog frequently get five times as much traffic as those that blog once a week or less. Give your readers a reason to come back, and fresh content is the best reason you can offer. Internet marketing has changed the landscape of marketing in some very significant ways. But using internet marketing effectively is a lot more than creating a Facebook page for your business or giving extra duty to someone in the company to write a blog. Your plan needs to be well-developed and carefully implemented in order to be successful. Integrating internet marketing strategies means making a genuine commitment to connect with people and make them keep wanting to come back for more. PreviousPrevious post:The Power of A/B Testing With Your Internet Marketing Strategy ?NextNext post:Internet Marketing Web Analytics Made Easy!